I have deliberately not read all the comments regarding this debate on Pinmozhi. But still I feel commited to put in my two cents (fils) into this debate. Lets reconsider what this "Pinmozhi" Thing is. Its a Malayalam blog aggregator, nothing more nothing less. Of course a rather popular aggregator at that. Popular because the blog community collectively assumed that there would be no need to create any more subject-wise aggregators ever. Now over the last few years The Malayalam Blogosphere has blossomed into a full grown voluptuous young teenager. Attractive, wild and nasty. She has picked up all the habits of the times. Some good and some bad. But on the whole she had hopes of becoming something extraordinary. The community was not really interested in reading the blogs and responding to the content or the debate in the post, but was actually commenting on the comments. This reduced the Pinmozhi into a third rate mallu chat room. Pinmozhi also became the the ultimate dumming down tool. Everyone is equal here. The academic is on the same level as the housewife who writes cooking recipes. So those capable of discussing government policies, paeleo-botony, material sciences, and the art of cleaning gunk from the exhaust fan were all equals. There were no distinctions. Due to this obvious lack of focus and immense popularity amongst the general public someone once decided to point out this obvious problem. He pointed out the need to create more aggregators so that there will be some content based specialization. But this was not mainstream thinking and was booed down. The community was not interested in content or discussing matters of social significance. It had already become what many had always dreaded: A glorified mallu chat room. Unfortunately Pinmozhi which was once the bulletin board of Malayalee Bloggers had turned to be its own nemesis. It was instrumental in bringing together the thought of all and sundry. One of the fundamental error in the Malayalam blog community has been the misconception that all Malayalees share some common bond just because they spoke one language. This naive assumption promoted the myth that more aggregators would distroy the mythical "blogger unity". People are not united by language alone. There should be unity of purpose. A random selection of people from varied backgrounds cannot be expected to have common goals and objective. The blog is a means and an end in itself for most Malayalee bloggers. Today It rarely transcends the boundaries of gossip and petty ego clashes. Little or no meaningful discussions arise from this crowd. If I was asked my openion I would not shut down the Pinmozhi. I would request the creators of Pinmozhi. to create more aggregators. Broken down to subjects. Let there be Pinmozhi. The choice to join or not join Pinmozi is still in the hands of individual bloggers. If we do not seriously look at this growing number of bloggers and how to aggregate their comments based on the content and class of their writing there will be trouble. Within the next one year many of the serious writers and thinkers amongst the Malayalam bloggers will disappear. The blog will blend into insignificance and perhaps disuse. Like the countless similar media before. അണ്ണാ.. ഈ സാധനം തനെയാ ഞാന്‍ മലയാളത്തില്‍ എഴുതാന്‍ ശ്രമിച്ചത്.. http://itival.blogspot.com/2007/06/blog-post_13.html ഇവിടെ ! അതേറ്റില്ല! ഇപ്പ രണ്ടു കാര്യം മനസ്സിലായി! "If I was asked my openion I would not shut down the Pinmozhi. I would request the creators of Pinmozhi. to create more aggregators. Broken down to subjects. Let there be Pinmozhi. The choice to join or not join Pinmozi is still in the hands of individual bloggers." The ideal thing mashe !!! Fully agreed. I would though be more appretiative of the recreational role of blogs. That thing about becoming a 'glorified chat-room' is not all that negative, if we can redifine 'chat' in a positive manner. I weant to reaffirm my opinion that Pinmozhi should not be shut down. Else where I have expressed my sentiments. There I said that perhaps pinmozhi is clouded by the the excessive number of comments on a particular post and this leads to newer posts being sent to the archives in no time. And I suggested that the creators of Pinmozhi could redesign it in such a way that only the blogger's name, the heading of the post and the first two or three lines of the post would appear in it. But I maintain that comments are equally important. 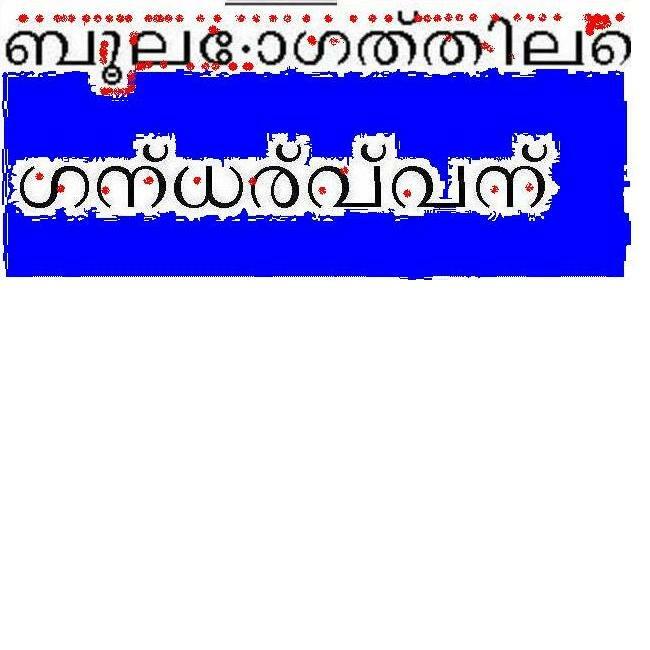 I want to invite you to Kaippally's recent post titled "ഇതിലിപ്പം എത്തറ കിളി”. There are many comments on the topic and I believe that no one would object to the relevance of them. And, all these comments appeared in a "short" period of time. It was possible because all these comments appeared in Pinmozhi. If Kaippally's post were sent only to a specialised aggregator I don't think this would have been the case. So, I wish to modify my stand in terms of Pinmozhi and I state it categorically hereunder. 1. Pinmozhi should be maintained as it is. 2. That would facilitate access for ALL POSTS and ALL COMMENTS to it. 3. Man is blessed with the faculty of taking the best and throwing the worst. Let him exercise that power, rather than getting irritated with some of the comments. 4. I for one has general interests. I am interested in poems, articles, satire, photos and all sorts of human creativity in art and literature. Though I did not comment on all what I read, I am interested in reading all them. 5. Though some comments are not to the point, they on many an occasion give spice to the world of blogs. It is comments that distinguish blogs from printed media. 6. Of course nobody is against creating specialised aggregators. May them also be given birth. 7.So long live Pinmozhi and may it live eternally without modification! Brief,precise, and accurate, as nobody else has writen ever about the blogs. Good analysis of the current issue.